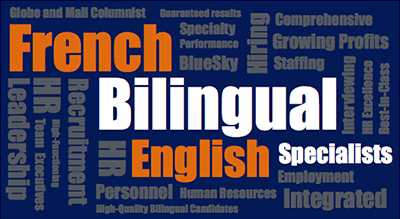 BlueSky Personnel Solutions Are you objective during the interview process? Are You Objective During The Interview Process? Have you ever gone through a hiring process where your colleagues and you have given some interviewees impromptu nicknames for quick and memorable internal references, such as “the yellow shirt guy” or “the jazz lady”? Image courtesy of Olga Vasilkova and Dreamstime.com. While it’s human nature for us to use unique markers to remember specific people among a line-up of many, we may risk overlooking the right talent for our team in this process. It’s important to be objective during the interview process. In a recent Harvard Business Review blog post, Associate Professor of Decision Science at INSEAD, Neil Bearden, discussed the von Restorff effect in the hiring process. This “effect” is a discovery that German psychologist, Hedwig von Restorff made in the 1930s, noting how things that stand out are remembered more easily than typical things. So at the end of a long day of back-to-back interviews, as coworkers reconvene to discuss who may be right for the job, often people end up recalling what stood out for them among each candidate. The discussions often centre around people’s impressions, and how they feel about the candidates. Such feelings over facts however can make our hiring lens more subjective. In fact, Bearden encourages jobseekers to recognize the value of being a “weird” job candidate. He recommends pursuing the “Lady Gaga Effect” – quoting the celebrity singer’s philosophy of being opposed to the typical, as a way to stand out to the interviewer. Whether it’s a tattoo, an exotic job during a candidate’s student years, or even a unique interest, unique attributes can take over more of our mindshare than we realize. While this strategy may be great for jobseekers, it can make our hiring lens more subjective, and could result in us letting the best talent for our team fly under the radar. Review the job requirements pre-interview: before heading into an interview, review the job requirements so they are top of mind, in this way, you may be able to more easily connect a candidate’s responses to the needs of the job at hand. Recognize your own inherent bias: we’re human, and we all have them. We may prefer certain personality traits, or we may want to hire people who are more like us. A little introspection however can help you recognize your own bias and subsequently guard against its influence. Be consistent in your questions: solicit answers to the same questions from each candidate for future “apples to apples” comparison. Consider using a set of structured questions on an interview sheet to help you in this process. Focus on content versus delivery: great orators can whisk their audiences away, but as HR/hiring managers, it’s important for us to stay grounded in content, not just the delivery. Pay attention to personality: one quirky attribute in a candidate may become a key memory marker, but if you focus on assessing a candidate’s personality mix with that of your current team, you’re more likely to make a fair in-context assessment.